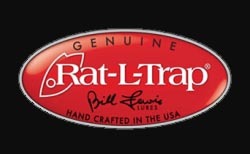 As temps rise and the topwater bite turns on make sure you have the Floater Rat-L-Trap in your arsenal. During low light conditions or in murky water the Floater ‘Trap can outfish other topwaters by setting off its rattles. Fishing around docks, through standing timber, or over cover is a breeze with the Floater since you can take your time stopping the lure and guiding it in the right direction. It can be cranked down to 3 ft. or popped along the surface.